FORT MILL, S.C. – April 11, 2019.Technology giant Continental, one of the largest automotive suppliers and tire manufacturers in the world, is displaying integrated solutions for Canada’s commercial vehicle industry at ExpoCam, April 11-13, in Montreal, Quebec. Highlights include winter tires developed specifically for Canada, the winning tires from recent third-party fuel economy tests, award-winning digital tire monitoring solutions, VDO RoadLog ELD products, and ContiTech air springs for trucks, trailers, driver’s seats, and more. Attendees can also take advantage of a special promotion for free installation of Conti EcoPlus HS3 tires, up to $25 CAD per tire, by visiting the Continental booth. See details in Today’s Trucking and Transport Routier magazines. Attendees can visit Continental at ExpoCam in booth #4401 on Level 400. Continental’s HDW2 regional drive tire for winter features optimum performance in a variety of winter conditions, from ice to deep snow. Its directional tread design with more than 1,000 sipes provides excellent traction and lateral stability. The HDW2 also delivers more grip on ice and snow thanks to a new, specially designed winter compound. Designed specifically for Canada, the tire is also available in a matching retread. For fleets looking for fuel efficiency, Continental took first place in two recent tests conducted by the PIT Group of FPInnovations as part of their annual Energotest campaign. Three tire brands were tested: Continental, Michelin, and Double Coin. 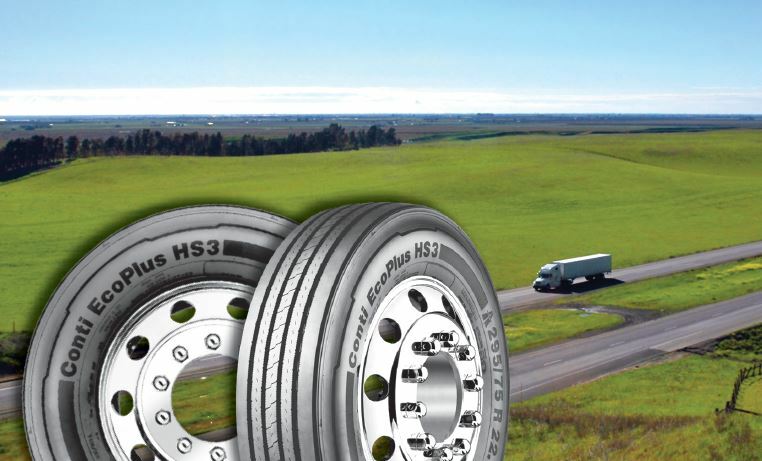 For both applications, Continental tires showed the best fuel efficiency, delivering potential cost savings.